← 5 Days to Have Your Say: You want more outlets. Got messy data and want to learn techniques for getting it analysis-ready in an efficient manner? Come to this workshop! In this workshop Ximin Mi, Business Data Services Librarian, and Tricia Clayton, Collection Services Librarian, will introduce the open source application OpenRefine for cleaning and transforming data into more standard and machine read-able formats. 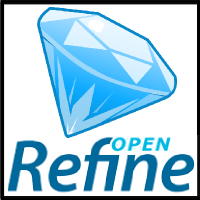 OpenRefine is available for Windows, Mac, Linux. You are encouraged to bring in your own laptop for the purpose of practicing on your own device. This entry was posted in Data Services, For Faculty, For Graduate Students, For Students. Bookmark the permalink.